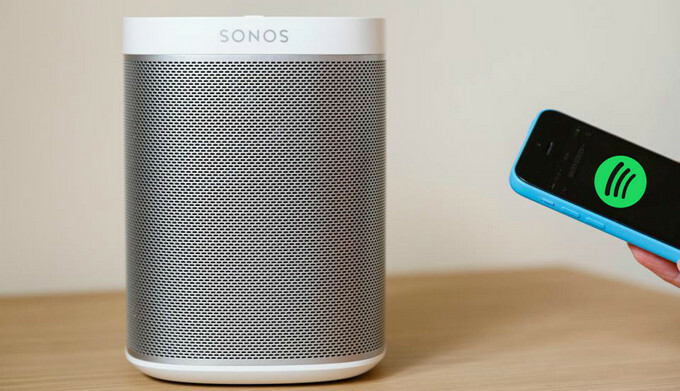 partnership reached between Spotify and Sonos means you do not need to listen to their songs via the dedicated Sonos app, but use Spotify app instead to control your Sonos sound systems directly. But this connection is only available for Spotify Premium subscribers, and the limited beta version is available for any Sonos owner. So how can you play Spotify music on Sonos if you are free users or just want to keep Spotify music playable after the cancellation of subscription? Here just take a look at how to play Spotify music on Sonos speakers directly through Premium subscription, and the useful tips to keep Spotify music playable if you are free user. It is super easy to set up as the steps below. 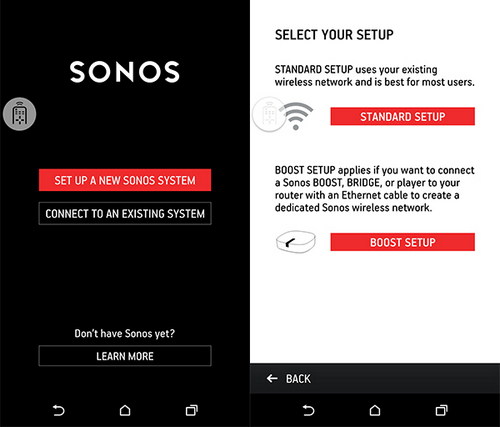 Step 1 Launch Sonos app on your phone if you have installed it (https://www.sonos.com/en-us/controller-app), and set up Sonos speakers on your Wi-Fi by following the steps in the app. Step 2 Tap "Add Music Service" button and select "Spotify" and please make sure that Control Sonos from Spotify is turned on in Settings. Step 3 Launch Spotify Music app on your mobile phone, computer or tablet. 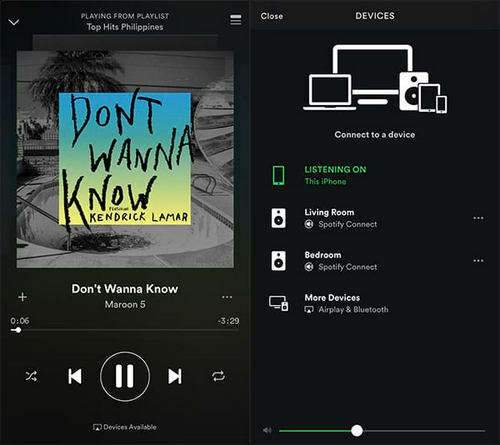 And please make sure that your devices opening Spotify are connected the same Wi-Fi with Sonos system. 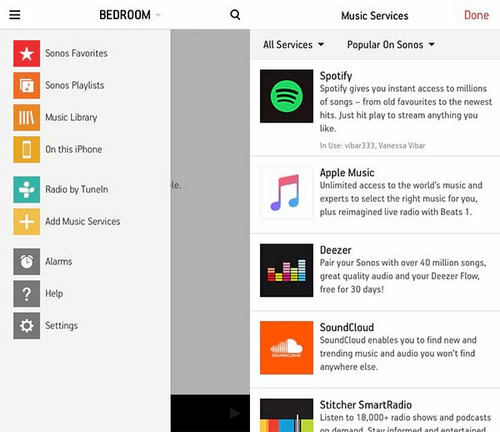 Step 4Play a song on Spotify and select Devices Available, then select Sonos speaker and start listening. As we mentioned before, the connection between Spotify service and Sonos speakers is only available for Spotify Premium subscribers, even though the limited beta version is provided. 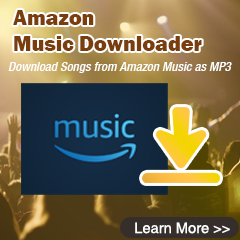 As the most popular streaming music service, Spotify music or playlists are protected by DRM and the free user has no authority to download music as local files. But if the DRM protection can be removed legitimately, and there is a solution available to make the Spotify music as local files, you can easily play Spotify music on Sonos Speakers. 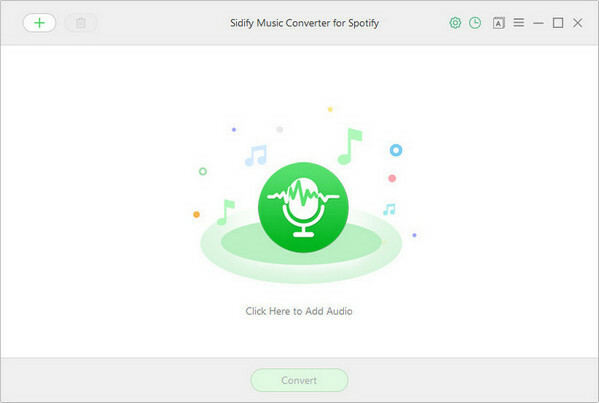 Here Sidify Music Converter for Spotify is your saver to make this happen and it is specially developed for Windows and Mac users to legally remove DRM protection from Spotify music and losslessly convert them to the plain audio formats as MP3, AAC, WAV and FLAC at 5X faster speed. 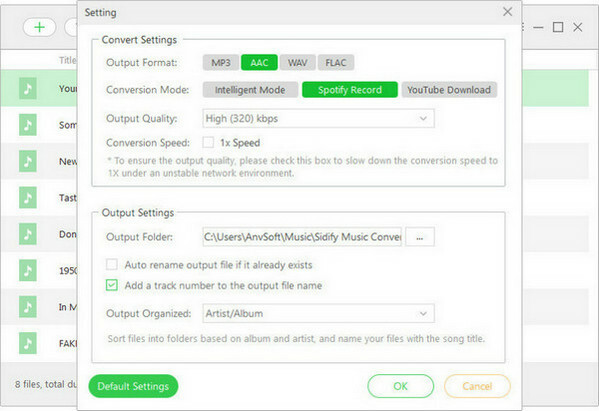 If you have added multiple songs on your Spotify music library, just turn to Sidify Music Converter for Spotify to download them to your local folder. Furthermore, all the ID3 tags and metadata will be preserved to help you organize music library. Here we will show you how to download Spotify music to formats as MP3, AAC, WAV or FLAC on Windows PC and stream the converter Spotify music on Sonos for playback. And you could perform the same operation on Mac. 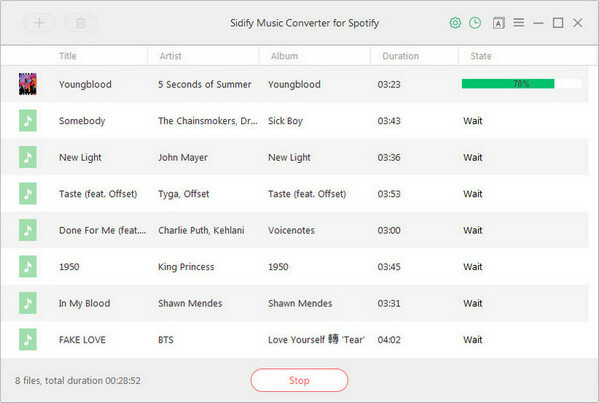 Download and install Sidify Music Converter for Spotify on PC, then launch it. And Spotify Music app will be launched automatically. Just go to Spotify Music app and search for the music or playlists you want to download, then right-click it and click "Share" to copy the music URL. Then you can click button or "Click Here to Add Audio" on Sidify Music Converter to paste the music URL. Or you can Drag & drop a song or a playlist from Spotify to Sidify directly. Click "OK" to finish importing Spotify music. And you continue the same steps to add more Spotify music for batch downloading. You can click button to choose the output formats (MP3, AAC, WAV, FLAC), output quality and conversion mode. In order to help you organize the music library after finishing downloading, Sidify program supports saving the output audio into Artist, Album, Artist/Album or Album/Artist folder for meeting various users needs. Now, you can start downloading Spotify music to the audio format you choose by clicking "Convert" button. And you can click button to find the output files after the dowloading process completed. 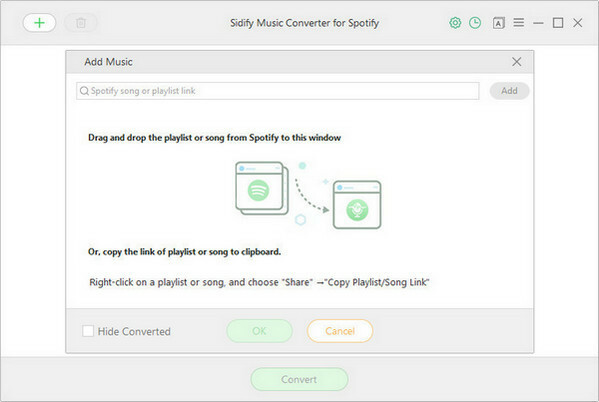 Now just import the Spotify music you downloaded by Sidify Music Converter for Spotify to Spotify Music app or other music apps supported by Sonos like Google Play Music, Amazon Music etc, then pick a song and hit play via Sonos speaker in your room. Just choose what to play, where to play, and how loud in one room or all over home.